So I decided recently to take the collision detection system one step further, and integrate it completely into the XNA framework. 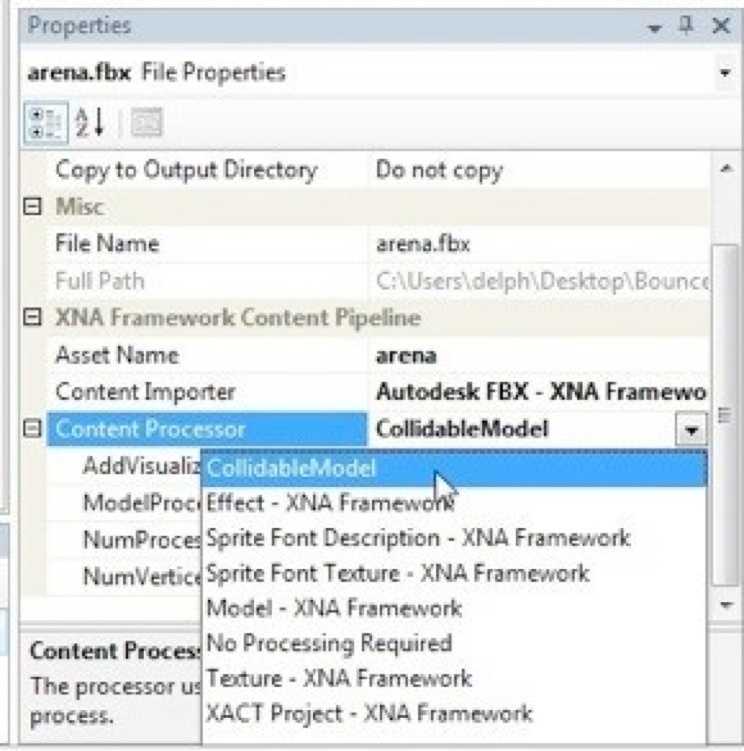 On this page you can find an XNA content processor, that will compute collision data directly during the model build stage. The processor comes along with a set of runtime classes that perform direct sphere-mesh collision detection. Collidable model can process any static model that can be processed with the XNA content pipeline and add collision data to it. In the runtime, you can then use the collision data to efficiently determine the triangles of the model that intersect a given sphere. However, the collision detection is restricted to static models only like environments, terrain and static (non-moving) objects. You can make it work with objects that move as one entity by transforming the sphere into the objects coordinate system, but you canâ€™t use it on objects that have independently moving parts, e.g. skinned models etc. Download the binary package to your computer and copy the dlls to a location of your choice. The only restriction is that the CollidableModelProcessor.dll and GeometryHelper.dll end up in in the same directory. Choose the model you want collision data for, and select CollidableModelProcessor as content processor. AddVisualizationData: Will create an XNA model to visualize the collision geometry if set to true. This can be very helpful for debugging. Note that the visualization data can add significant overhead. ModelProcessor: The name of the processor used to import the model. NumVerticesPerBin: The number of vertices per collision node. The lower the value, the faster collision detection will usually be. Beware of setting this parameter too low though, as processing time increases significantly, and the processor might even stop Visual Studio from responding. If set to 0, the processor will try to find an optimal value. Note that all classes are contained in the namespace CollidableModel. 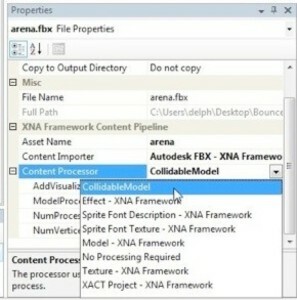 You can access the original XNA model with the property model, i.e. Note that I have updated the Bounce demo to use these classes. Have a look at the Bounce source code to see the collision detection in action. The CollidableModel processor is available as precompiled libraries (dll), as well as complete source code. 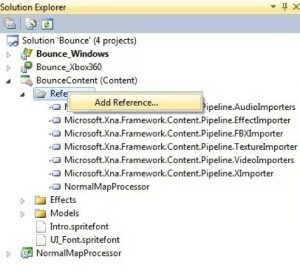 The source comes with Visual Studio 2010 project files, which should make compilation easy. Just think of putting the GeometryHelper.dll and the CollidableModelProcessor.dll into the same directory. Note that the code uses the Template Numerical Toolkit library. See the official homepage for more details.